It is always a good idea to try to stay on pleasant terms with the new owners too, and leaving a lovely clean home and maybe a small welcoming gift is the right thing to do. There are some cleaning things you need to think about before the moving day though…. Empty and clean appliances you are taking with you, so they are clean in your new home! (fridge/freezers/dishwashers/microwave/washing machines) – make sure you get stains from the back of the sink and just behind the cooker – don’t forget the overhead fan as this can get very greasy, and not very pleasant for the new owner if it is from the previous owner’s cooking (check the light bulb is working too!)! – remember to start this well ahead of the move, use protective gloves and goggles, and don’t leave until moving day as the time between someone leaving and someone arriving is often quite tight! Wipe down drawers / cupboards once you have removed and packed belongings out of them, so they are ready for your clothes in your new home. If your carpet is dirty, then organise for someone to clean this too and ask the removal company to put dust sheets down on removal day – in addition, get your pathway as clean as possible – getting rid of mud and debris prevents it from being trampled in after you’ve done the deep clean. Many home owners forget that curtains and blinds can gather a lot of dust too, these can also be professionally cleaned, many people wash and ‘drip-dry’ – but this could end up shrinking your curtains. Clean glass and shower doors with 1 part vinegar and 1 part water in a spray bottle, use undiluted vinegar in the toilet and then scrub clean. Don’t forget to clean the outside too. All the things in the list above take time and effort, and there is an alternative – At David Phillip Estate Agents based in Bramhope, North Leeds, we recommend hiring a cleaning service as an excellent solution. 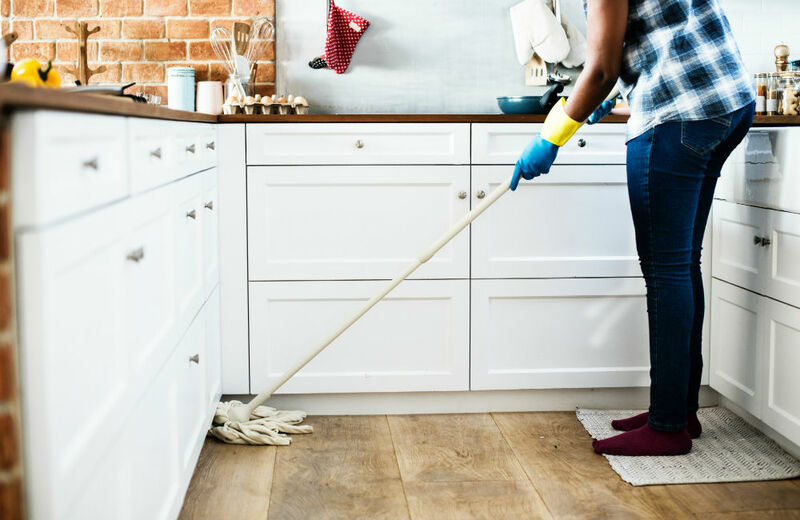 We have partnered with Dixons who can assist with cleaning tasks prior to moving (cleaning appliances/ovens), as well as a full clean in your new home before you unpack as well!